It never ceases to amaze me how simple things in life go over looked. This principle was glaringly apparent to me when I looked over the piece of mail below from a hospital that was recently sent to me. After analyzing the letter I was left both confused and dumbfounded as to how a consumer would go about making a payment. 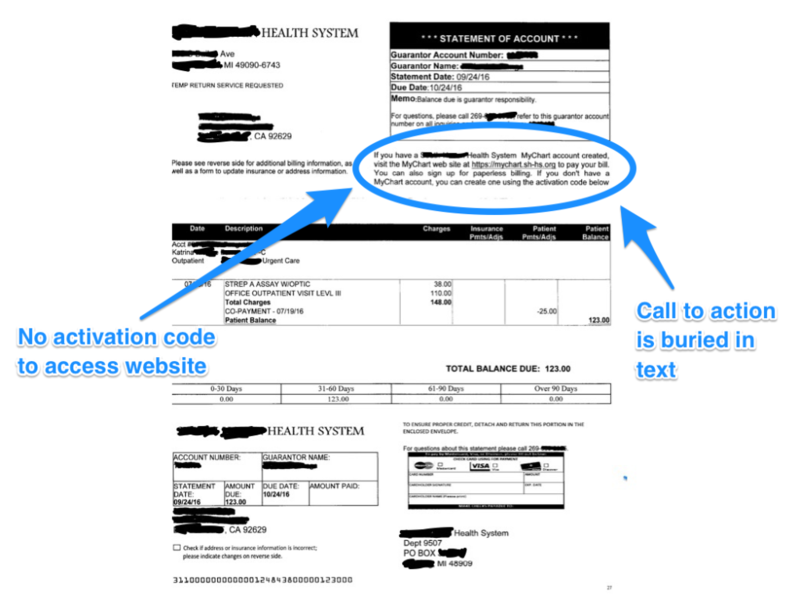 I noticed some major issues that, if fixed, could greatly help the hospital collect more online payments. The first point I would like to highlight is that the call to action is buried within the text. This is a major no-no. Consumers need to be told what to do in an easy and clear manner. Your call to action must be easily visible and stand out from the rest of the letter. 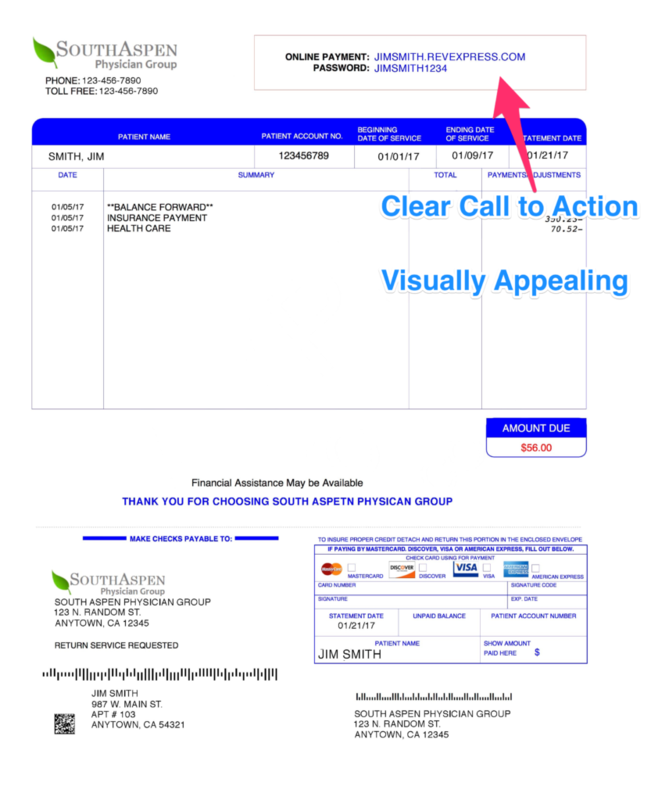 The call to action should be placed in the upper right-hand corner of the letter or dead center like in the example below. Do this simple trick and watch your payments soar. The second major issue within the letter is that the paragraph says there is an activation code to create an account at the bottom. After looking over the letter numerous times I am yet to find an activation code, making it impossible to access the payment site. Although I am not a fan of forcing the consumer to type in long account numbers when they arrive to a payment portal, I understand that some payment portals require that (not ours by the way.) So if you need to have an activation code, make it as short as possible and easy to read. As you can clearly see above this letter is far superior to the first one. There is a clear call to action located at the center of the page that is easily accessible and noticeable to the eye. A consumer will be far more likely to go to this web address than the one in the original letter. – It is visually appealing, using simple colors that pop and complement each other nicely. – It is easy to read with no long blocks of texts. There are many other aspects that make this a superior letter but for now I will leave you with the above items. Definitely use this as a template when you are designing future letters. If you would like any other suggestions on how to improve your current letters I would gladly take a look and make some free recommendations. Click below to schedule a time with me to look over your mailers. 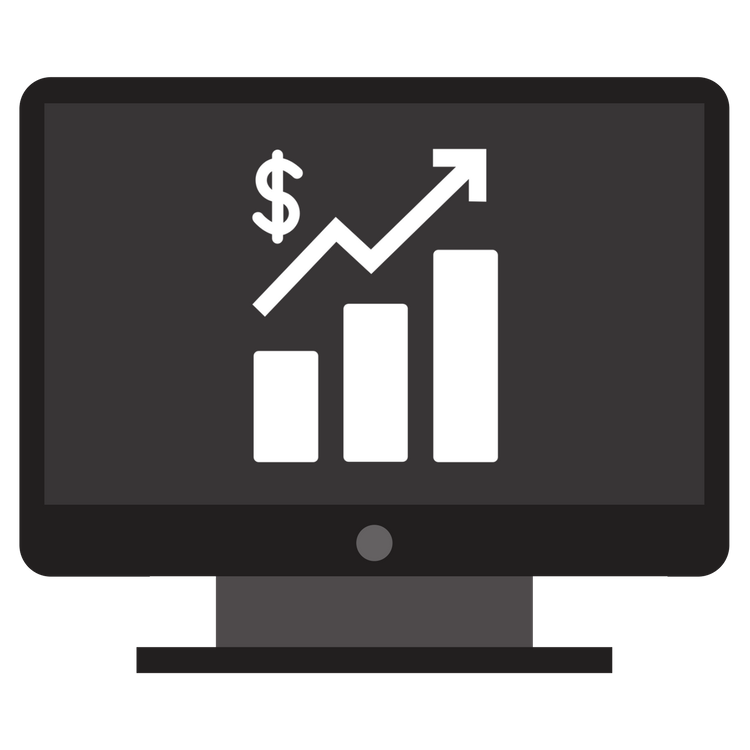 I am passionate about helping companies collect more payments online so please don’t hesitate to ask for my assistance.